Fretted Strings, located in Davis, California, is the second home of Viacali Guitars. This is where Sangho Byun learned the craft of guitar building from luthier Harrison Phipps, and where he continues to frequent for camaraderie and artistic inspiration. If you ever find yourself in the Sacramento area, do yourself a favor and check out this incredible workshop right in the heart of downtown Davis. Harrison Phipps built his first guitar in 1978 while apprenticing with Arthur Overholtzer (author of Classic Guitar Making) in Chico, CA. While in Chico, Harrison also met Richmond Talbott and gained considerable expertise in repair techniques for all stringed instruments. In 1988, Harrison moved from Chico to Davis to attend graduate school and for the next 15 years led a dual existence as an environmental consultant while maintaining a guitar repair business on the side. 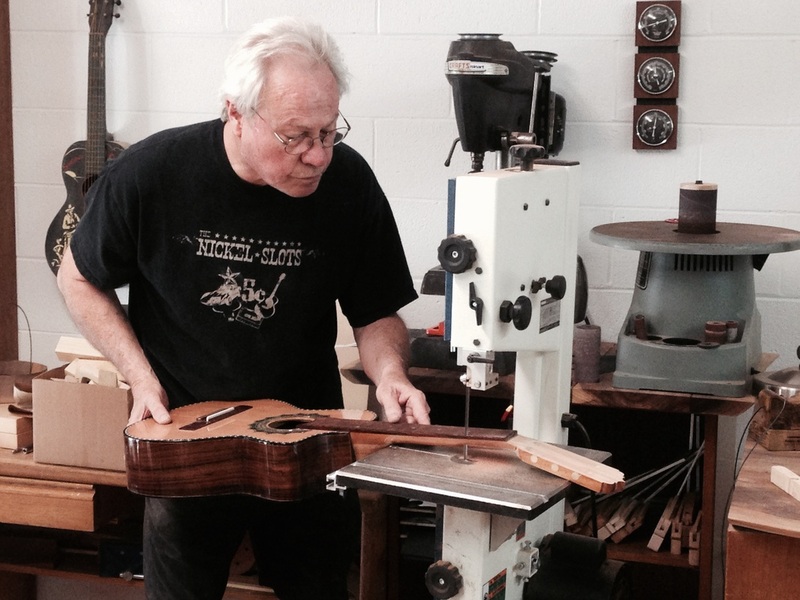 In 2005, he left the corporate world to be able to focus on lutherie full-time.